Here she is at the bar. A few drinks anyone? The cool think about this model is that she uses sub-surface scattering. That means her skin is very slightly transulcent like real skin. You can really see it with the image on the previous post. Much moth realistic. Kari 3 and Kari 4 comparisons! Definitely a greatly improved level of detail and depth! Nicely done, as always, Mik!!! Here is Adam and Eve. What choo' doing? Oh nothing... What choo' doing? Here is the new News Room for the Kari News Plugin. How about sitting at the bar as if YOU are the bartender chatting with her. A drink and empty glass in nearby in front of her...you know the routine...make it happen!! Good thinkin' Art. I might just do it. I've been working on the 3D part of Kari 4 lately. I'm almost ready for a show-n-tell. Soon. By crackie...now THERE's a real outdoor scene if ever there was one!! How about sitting at the bar as if YOU are the bartender chatting with her. A drink and empty glass in nearby in front of her. If this one is implemented I'd be nice to keep the other one as well. Choice is good. Then Yeah,, My Thoughts Exactly!! This Looks 'Sophisticated' Enough If You Ask Me!! You Can Download Or Somthin'(??)!! Just About Took The Words Outta My Mouth Too!! More specifically I was referencing, if the "bartender" view was added I'd like to see the 1st one still included as well, where you're in the bar with her. Here is a really cool app I found. It's a tree maker. 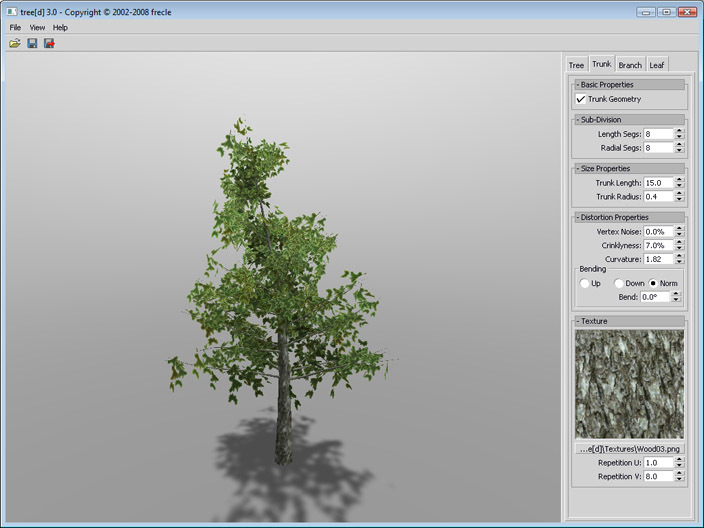 It generates trees for your 3d object and it's free! The trees even wade in the wind! Neat! Here is Kari and AiBliss running on Win8. This is a Surface Pro I just got yesterday. It's so awesome. It's pretty powerful and can easily replace a desktop workstation if you don't mind the screen size. It does have a video out tho! The display is comparable to Apples Retina display. I can't see the pixels. It's a beautiful piece of hardware. AiBliss runs pretty smoothly being that it's in 3D and uses Direct X.